If you’re looking to add more functionalities to your website then your choice to select tabs WordPress plugins would be an optimal one. Moreover, through these plugins, you can make your website more effective and please the visitors on your site. In this article, I am going to share the list of best free and paid tabs WordPress plugins which are available in the market as per the user’s rating. With these amazing plugins, hope you can present your content in a tabbed style without any extra effort. So let us have a look at the plugins that can help you with this task. This responsive plugin comes with a simple responsive design. The plugin allows you to create amazing fonts and styles on your blog. You can customize the tab’s displays and many more thing on your site through the admin panel. This plugin contains awesome ratings from its users (5/5). Buy Taddy Responsive Plugin at just £19.00 and extended up to £98.00 for unlimited sites. Provides Virtual Private Server to bridge the gap between dedicated server & shared hosting server by giving root access. The plugin also provides documentation and training to manage your own websites. Manages your website’s software updates regularly time. Ability to design and build an attractive and effective website. 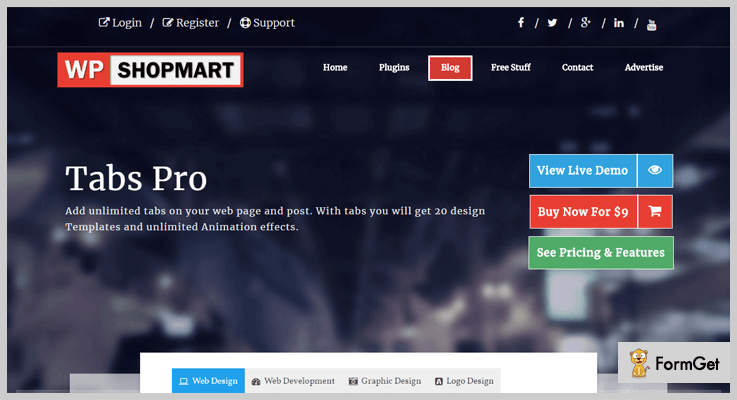 This simple and easy Tab Pro WordPress Plugin is well designed and developed. It is user-friendly and compatible with all devices. Its design is simple, elegant and responsive on all browsers. Like its design, its features are also impressive. This Tabs Pro hover effect provides a facility for you to open any tabs impressively. The plugin is fast so you can build your tabs within a second. Buy the Plugin at just $9 for 6 months and extended up to $27 with unlimited features. Add unlimited tabs on your web pages and get 20 design templates. Display your content in widget area with shortcodes in the widget area of themes. 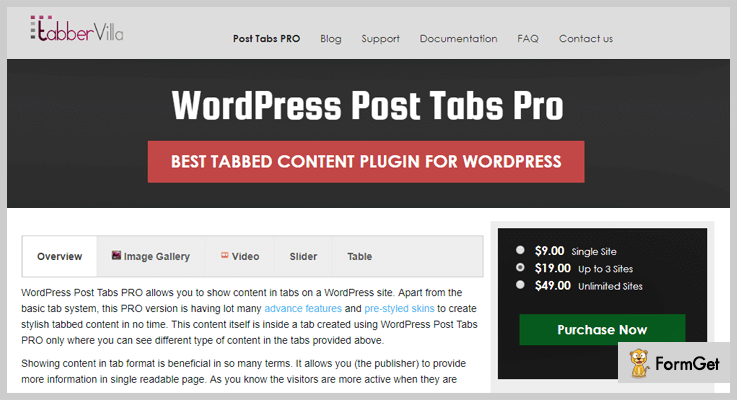 WP Tab Widget Pro is a light-weighted WordPress plugin that will help you to build perfect tabs on your websites. The plugin allows you to insert widgets on your website’s sidebar and later you can customize your site according to your requirement. With its advanced features, the plugin is absolutely easy to handle. You can create a neat and organized tab on your blog with its simple installation and configuration. It offers its extended services at just $19/M and extended Up to $29. The Plugin is fully customized and over 400 icons included. Small and Large thumbnails sizes are available so that you can pick accordingly for your site. With its AJAX Loader give your website a unique look. Set a number of posts to display on your site. 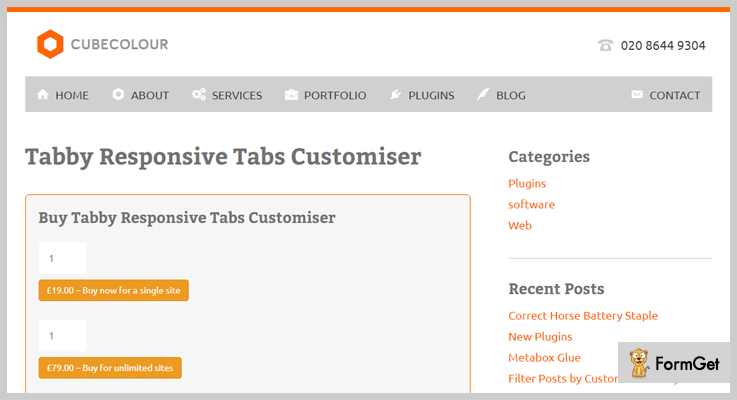 Hello tabs WordPress plugin is the plugin lets you create a tab element from any widgets on your WordPress site. The plugin has simple drag and drops feature to create an easy tab. Many users are already using this Hello Tabs Plugin. This plugin comes with amazing 12 predefined styles and more than 20 animation effects. The user gives their satisfaction rating as 4.5 out of 5. The plugin offers its advanced services at just $15 and extended up to $75 for more unlimited features. It supports multi-tab to create multi tabs elements on your pages. Support multi browsers like Firefox, Opera, Safari, Chrome and more. Fast and friendly support WordPress plugin. It provides 100% responsive and useful layouts. 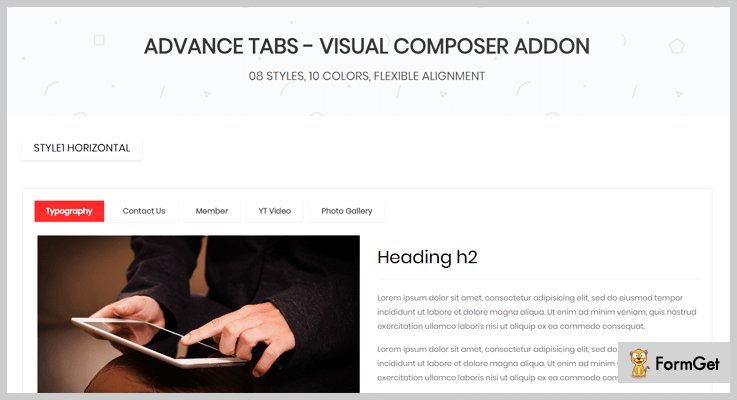 This advance tab plugin is clean, simple and a complete solution to add tabbed content from any widgets in your WordPress site. The plugin allows you to display any attractive content on your site by using its PreDefined Color Schemes and 6+ Unique Styles. This plugin has a responsive layout and gives you a complete control over them. Buy its advanced services at just $10 and extended up to $60 for more unlimited services. Use unlimited shortcodes to provide various functionalities into your post, pages, and widgets. Through this, you can create Horizontal and Vertical Tabs. Side Tabs is the WordPress Plugin that allows you to create tabs and stick them to any window edge. If you are really want to give uniqueness and add more functionality in your website than Side Tabs is a perfect way. 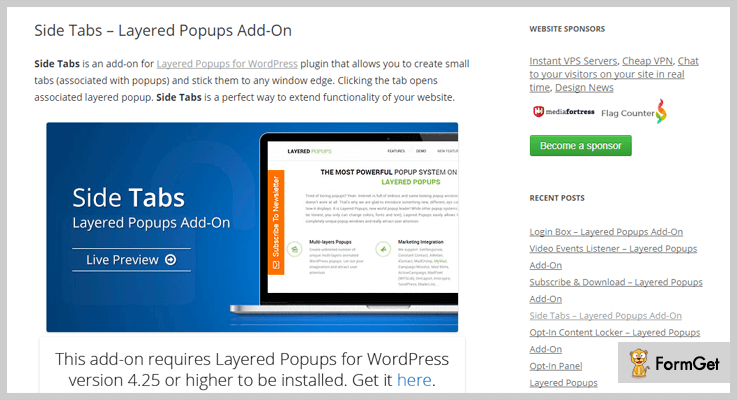 It is an add-on for layered Popups for WordPress through which you can create a tabs element on your site. Enjoy its tons of features and functionalities at just $7 and extended up to $35 for unlimited advanced features. This allows you to design the desired popups in your sidebar area. You can create as many tabs as you need can easily associate them with desired popups. This plugin is easy to use and completely responsive. This WordPress Post Tabs Plugin lets you create a clean and well-organized WordPress site with powerful admin panel itself. It has easy to understand dashboard so that your users get highly impressed. This post tab provides you to add as many tabs you want to add on your site. You can change the color of tabs with its CSS changes, it also contains visual editor button, nested tab and many more. This plugin is completely FREE. Get its highest features and functionalities for Free only. 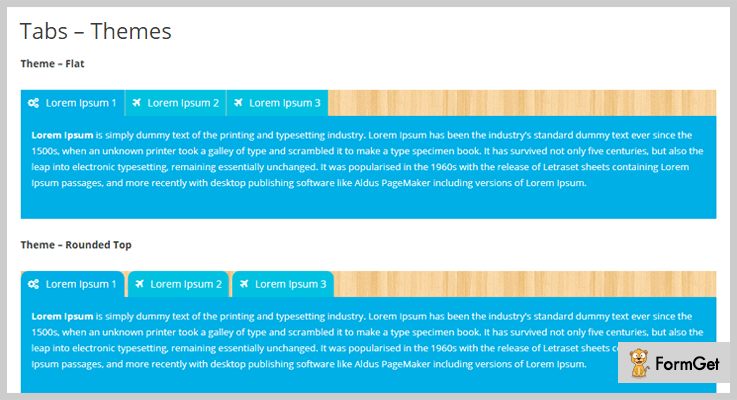 Provides various predefined styles so you can easily design tab element on your own style. Enable/Disable Page Reload on Tab click. You can embed YouTube, Vimeo videos and more inside tab area. Apply Custom Style Box to change CSS from Admin Panel. This is another simple and clean looking tab with manually inserted shortcodes. A shortcode is used to give extra functionality in a website. Users gave it highly satisfactory ratings of 4.7/5. This Tabs plugin is completely HTML & CSS3 responsive tab. The plugin is super responsive to every mobile screen, it has an option to use mouseover to switch tabs. The Plugin is completely FREE. There’s no hidden terms and conditions. The plugin is completely responsive and customized. You can add unlimited numbers of tabs in anywhere in the sidebar area. It provides a custom font color for Tabs content. Gives the easy Input field for the content side. And here my writing comes to a close. 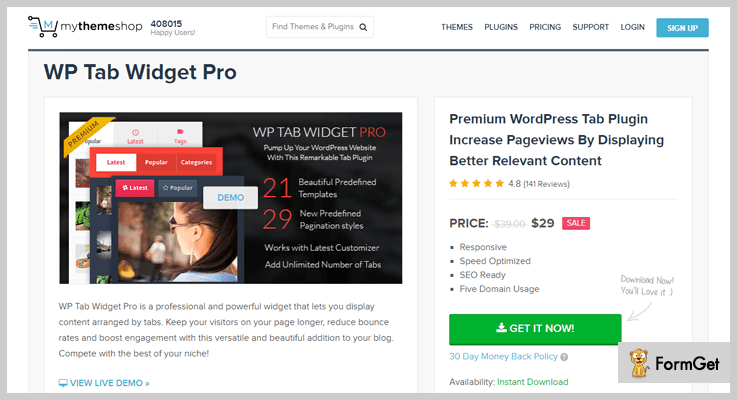 I have selected here the 7+ Best Tabs WordPress Plugins which were based on the reviews, ratings, features and a lot more. Go for a plugin which suits your need. Do let me know via comment section below if I have missed anything!